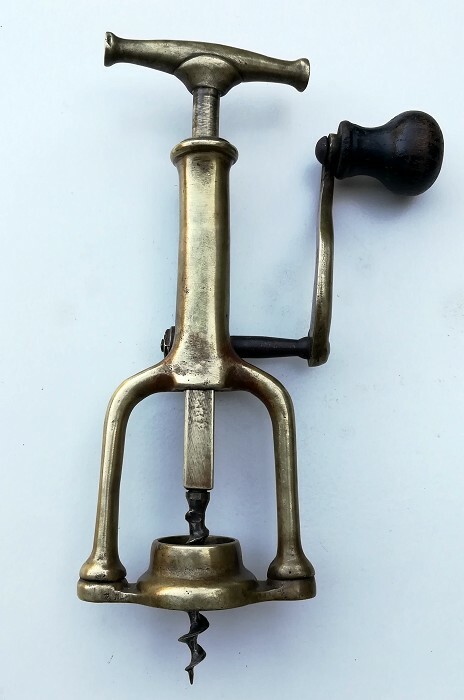 Impressive Italian solid brass rack-and-pinion corkscrew. Operation begins with the worm in the up position and the frame over the bottle to center the worm. Turning the top handle clockwise inserts the worm. Turning the side handle and pinion clockwise raises the rack and removes cork. See Bull, Paradi, Giulian " World-class Corkscrews" page 286.